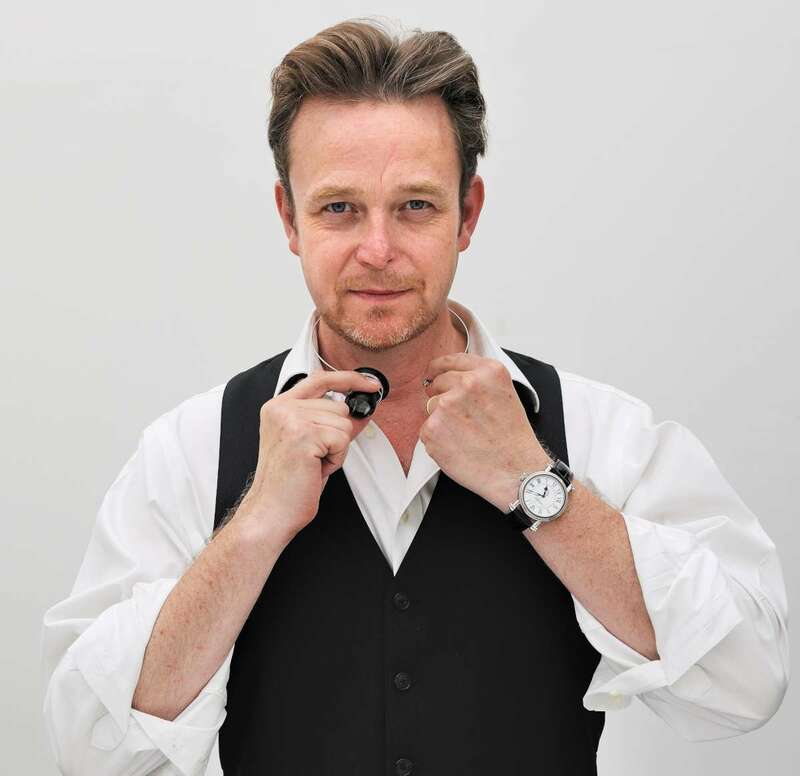 Peter Speake-Marin was born in 1968 in Essex, England, studied watchmaking at Hackney Technical College in London and then at WOSTEP in Neuchâtel, Switzerland. He began working at Somlo Antiques in London, establishing its watch restoration department. Working on pieces by Arnold, Breguet, Frodsham, Nelson, Patek Philippe and other classic watchmakers enabled him to study the solutions that they had devised to solve horological problems. In 1996 he moved to Le Locle and worked for Renaud & Papi on high-end complications. In his spare time, he built his own first piece, a tourbillon pocket watch subsequently named the Foundation Watch. 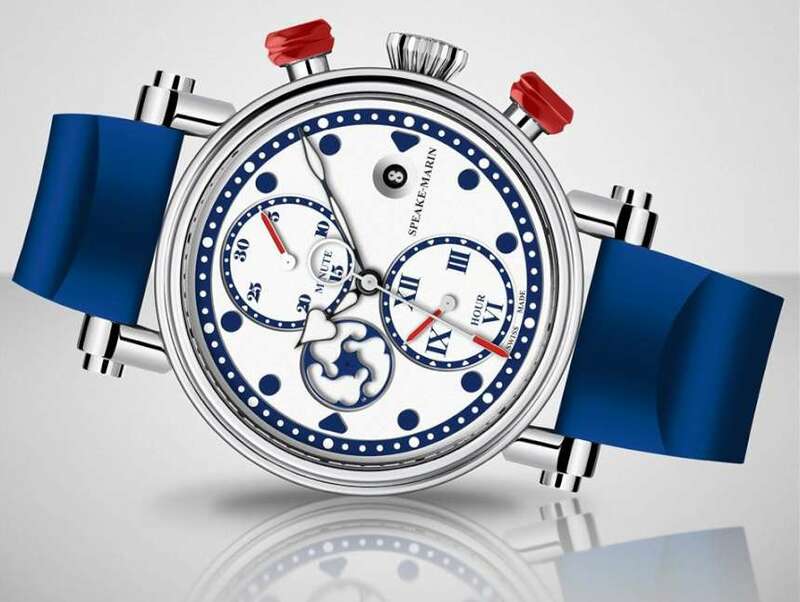 He launched the brand Speake-Marin in 2002, and his first wristwatch was The Piccadilly, completed in late 2003; from 2008 he has been working exclusively on his own timepieces. Initially time-only watches, the collection now includes complications such as jumping hours, perpetual calendar, tourbillon and minute repeater. By 2016, the brand had a total of 55 references, and they make approximately 1,000 watches per year. 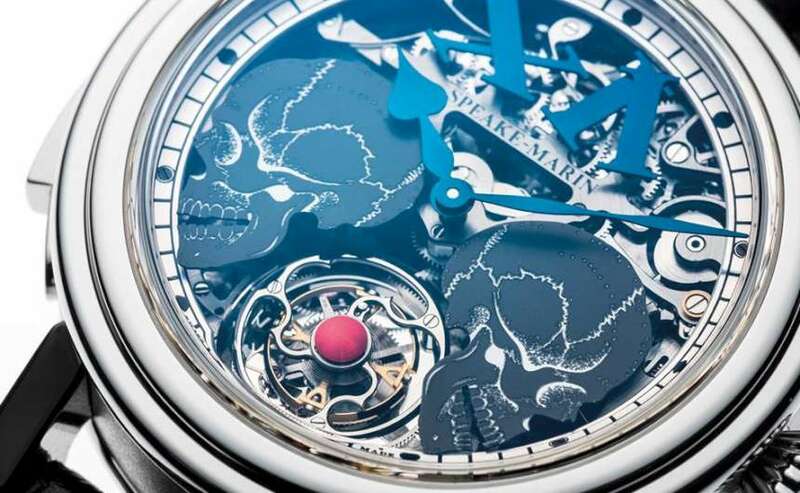 The components of Speake-Marin watches are made by a network of suppliers in Switzerland. However his pieces have a genuinely English touch that makes them instantly recognizable. One of Peter’s obsessions is with skulls, something that was inspired by Macbeth. 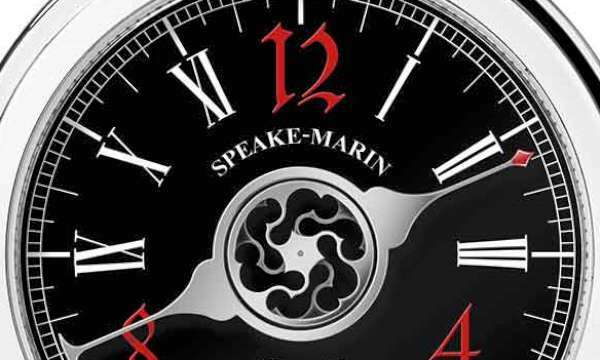 Another unusual feature of Speake-Marin is that, even though a niche brand, it has a famous ambassador: Pierce Brosnan. 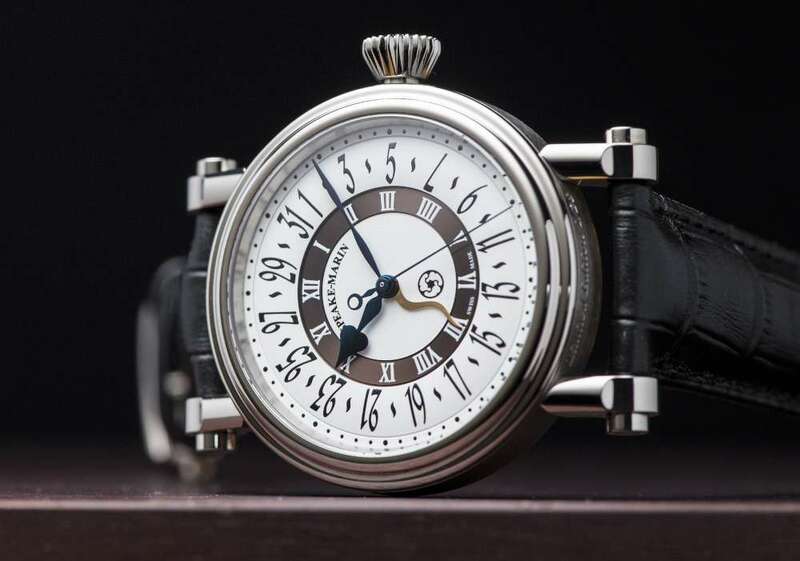 This began on the set of Survivor, a film for which Peter Speake-Marin was asked to supply some watchmaking equipment for a workshop that appears in one scene – in the movie, Brosnan’s character is nicknamed the Watchmaker. Peter met Pierce on the set, and a chance meeting developed into a genuine friendship. He gave him one of his watches, and a few months later was surprised and delighted to see that Pierce had worn the watch during a photocall. From there, it was a short step to defining a fully-fledged agreement for Pierce’s role as ambassador for the brand. 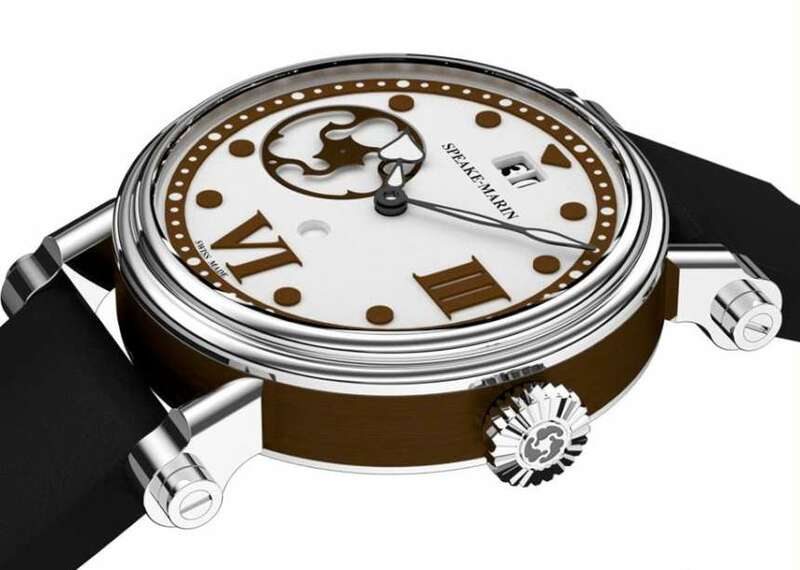 On 16 June 2017, the CEO of Speake-Marin, Christelle Rosnoblet, issued a press release saying that “After 16 years during which he shaped the image and ensured the development of the brand, Mr. Peter Speake-Marin has decided to give a new artistic direction to his career. It has been a pleasure working with Peter in recent years and the entire Speake-Marin team joins me in thanking him for his involvement and wishing him all the best in his future endeavors. The brand and its collections will continue their renewal with the British elegance and boldness that characterize them and which make them distinctive in the world of Swiss Haute Horlogerie.” This comes as quite a surprise. Peter kindly answered my questions on his new project The Naked Watchmaker: read the interview here.